There is no doubt that the Paris Summit result was a breakthrough and a significant step. But anyone who thinks that was the hard part is kidding themselves. 2015 was the hottest year the earth has experienced since records began. The previous record was 2014. The evidence that the planet is getting warmer and it is caused by human activity is as overwhelming as the evidence that tobacco causes cancer. And yet the climate change policy of the Turnbull Government is still inspired by the climate-change-denying ethos of the Abbott Government. There is no doubt that the Paris Summit result was a breakthrough and a significant step. But anyone who thinks that was the hard part is kidding themselves. The summit committed participating nations to policies which would limit the world's temperature rise to less than 2 degrees compared to pre-industrial levels and work towards achieving a net zero emissions world. But the fact is that the Turnbull Government's policies will simply not achieve this aim. Climate change policy is core economic policy. The fact is that the Australian economy has a lot to lose if climate change is unchecked. Another fact is that some policies can bring about carbon abatement a lot more economically efficiently than others. A market-based, internationally linked emissions trading scheme is by far the most efficient method available. Any Treasurer or alterative treasurer who is absent from this policy debate is negligent in their duties. 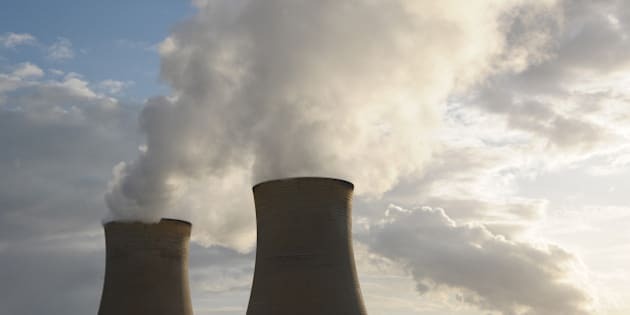 Last year, the Government's Climate Change Authority recommended that Australia have an emissions reduction target of 45 to 63 percent by 2030. The Authority pointed out that this is what's needed for Australia to make its contribution to holding temperature rises to less than two degrees. Labor took the Authority's work seriously. We announced that we would embark on consultations with industry using a 45 percent target (the lower end of the Authority's recommendation) as our starting point. Turnbull Government ministers, up to and including the prime minister himself, embarked on a scare campaign, warning of dire economic consequences of such a target. The economic consequences of not holding the world's temperature rise to less than two degrees (or the fact that a lower target will not meet the Government's own commitment of a less than two degree rise) seemed to pass Mr Turnbull by. There is no doubt Australia needs to tread carefully with our highly energy intensive economy. But inaction is simply not an option. This can be done. We know that the emissions intensity of the Australian economy has already halved between 1990 and 2012 due to efficiency improvements and structural change. We also know that other countries, who would have plenty of excuses available to them for inaction, are actually making significant progress. Take Germany, for example. It is the world's fourth largest economy and is highly manufacturing and trade intensive. It is not overly blessed with options for solar power compared to Australia. And yet, Germany has embarked on aggressive emissions reductions targets: a 40 percent cut from 1990 levels by 2020. And whereas Australia has played with destructive renewable energy policies for the past two years, Germany has embraced renewable energy with alacrity. Significant uptake of renewable energy has contributed strongly to a 27 percent reduction in its greenhouse emissions. All this at the same time as Germany is phasing out nuclear power. Germany will have shut down all its 17 nuclear reactors by 2022. Canada is another country making recent and bold strides in tackling climate change. We recall the new Prime Ministers, Malcolm Turnbull and Justin Trudeau, meeting for the first time at CHOGM in Malta last November, not long after their ascension to high office. Yet on climate change that's where the similarities dissipated, with the new Mr Trudeau's policy commitments matching his rhetoric on climate change, and the new Canadian Government moving ahead with an Emissions Trading Scheme, a higher emissions reduction target than Mr Turnbull's as well as a heavy push on renewables. Labor will take its consultations with effected industries very seriously in coming weeks. Mark Butler and the Shadow Cabinet will be listening. However, unlike the Turnbull Government, no one should doubt Labor's unity of purpose and commitment in the belief that climate change is real, is caused by human activity and represents a very clear danger for the Australian economy.